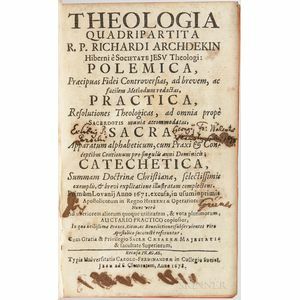 Archdekin, Richard (1616-1690) Theologia Quadripartita. 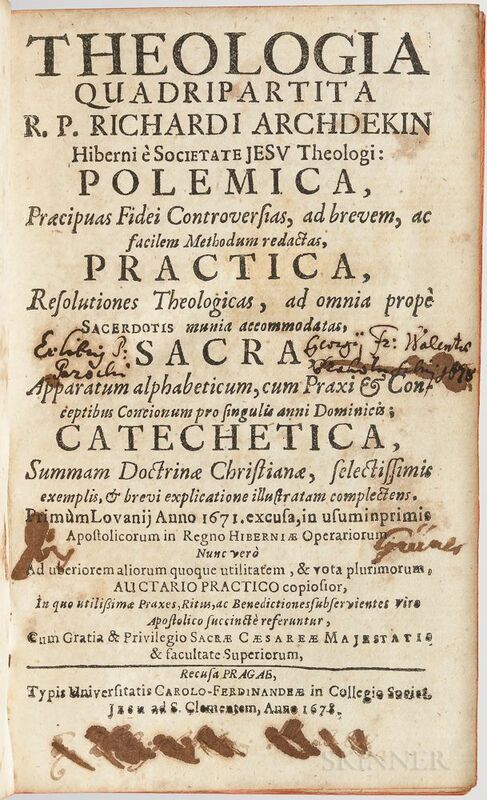 Archdekin, Richard (1616-1690) Theologia Quadripartita. Prague: Universitatis Carolo-Ferdinandeae in Collegio Societ. Jesu, 1678. Octavo, contemporary parchment over wooden boards, clasps and catches, browning throughout, 6 1/2 x 3 3/4 in.